This entry was posted on November 9, 2018. 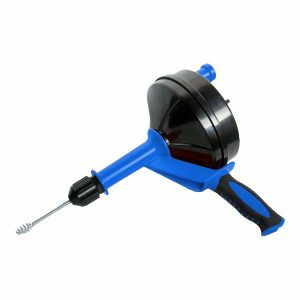 In our continued efforts to compliment and expand our assortment of plumbing tools and accessories, we have introduced a selection of Drain/Toilet Augers. Satisfying the needs of professionals to homeowners, we now offer 4 unique models. All models come with a screw-shaped tip and flexible non-kink wire. With a cable length of 3 feet, this toilet auger includes a large plastic, free rotating handle for ease of use, and a plastic guide to protect the toilet from scrtaches and damage. For drains requiring a longer reach, this low profile unit has a cable of 15 feet with an offset steel crank handle. Even more versatile, this model comes with a molded plastic housing, including a large grip handle for strength and ease of use. The cable itself has a length of 25 feet, which is tightly secured with a steel collar and thumbscrew. 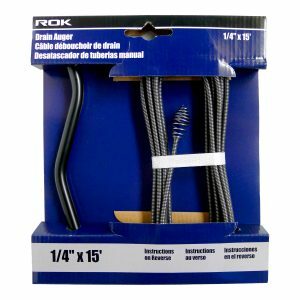 The preferred choice of plumbers and professionals, this heavy duty unit has a large grip handle and 25 foot cable which is secured with a compression nut for ease of use. 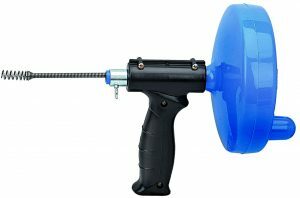 The auger can be rotated manually with a free rotating handle, or for those tougher jobs, you can attach your power drill to the built-in adapter. For more information, please ask your Cathelle representative or contact Customer Service at 800-363-0691 or by email at info@cathelle.com.